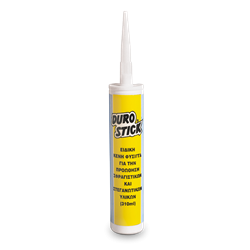 The BLANK CARTRIDGE of DUROSTICK is ideal for applying any viscous (thick) material, in combination with the heavy duty PROFESSIONAL CARTRIDGE GUN of DUROSTICK. It is an excellent solution for grouting with epoxy systems, such as DUROPOXY and for applying cementitious sealants, like SUPER FLEX POWDER and other products in paste form. It has the advantage of both, equal thickness product application and the option to reuse. It is important to promptly clean the cartridge with water, or the dilution material of the filling product (epoxy based products), after the completion of the application.